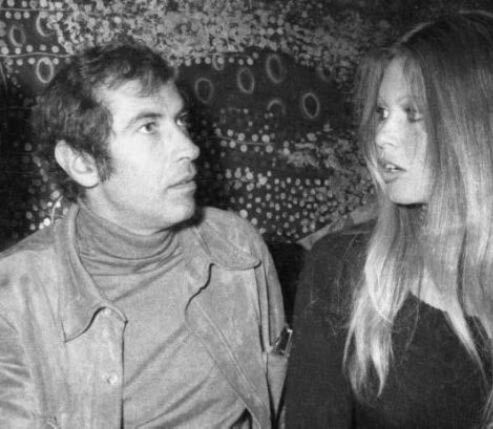 Roger Vadim (January 26th, 1928 – February 11th, 2000) was as well known for his love life, as he was for the movies he directed. His svengali-like influence on Brigitte Bardot’s persona and image culminated in Et Dieu… créa la femme (And God created Woman, 1956), which made an international star of her and established his own reputation as a glamorous young director with the golden touch. Bardot was the first of five wives; among the others were Jane Fonda and Marie-Christine Barrault. As a director he enjoyed further success with films such as Les liaisons dangereuses (Dangerous Liaisons, 1959), Le Vice at la vertu (Vice and Virtue, 1963), and Barbarella (1968), however after the 1960’s, his brand of art-house erotica was no longer in vogue.